1. CLEANSING – Skin is exposed everyday to pollutants and disposes external waste in pores, the CLEANSING process supports your skin in removing build up and bacteria. 4. HYDRATION AND REPAIR – Further Hydration into the skin at an epidermis level, and with the use of ALOE VERA in the TONING/HYDRATION phase invite in the next treatment, this allows nutrients back in the skin, assists the skin, protects and strengthens the cells. 4. HYDRATION AND REPAIR – Further Hydration into the scalp at a epidermis level, and with the use of ALOE VERA in the TONING/HYDRATION phase invite in the next treatment, this allows nutrients back in the skin, assists the skin, protects and strengthens the cells. 4.SET – Ensures your Makeup lasts throughout the day by literally setting the skin. The perfect helping hand that removes excess shine so that oils don’t break down makeup. Setting profoundly helps delay the process and save you from needing to “touch up”. 3. HIGHLIGHT - Eyeshadow can make a powerful and dramatic statement. 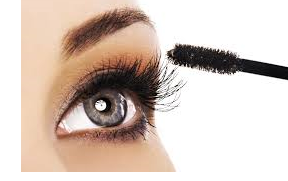 You can use the benefits of eyeshadow to make your eyes look larger, smaller, wider, farther apart, or closer together. 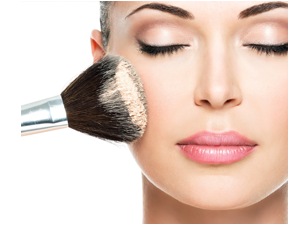 Eyeshadow can make or break your look so it is essential that you know how to choose eyeshadow and apply it properly. – The ultimate natural barrier to keep moisture within the lips and protect against external elements such as sun, wind, air-conditioning and pollutants.